Addicted to Rubber Stamping: Very Exciting News! I have some very exciting news to share with all of you. I have been selected for the Doodle Pantry Summer Creative Team! When Laurie put out a call for new members on her design team, I didn't hesitate to put my name in the hat and I can't tell you how thrilled I am that she chose me. I first discovered Doodle Pantry last month and I was completely WOWWED by Laurie's digital stamps. So much so, that I immediately downloaded a couple of her freebies and went up to my craft room and created my "I'm So Happy" card. I then went back and created a wishlist of all the images I wanted to purchase. One of the things I love about the Doodle Pantry Online Store is that you can create an account, and then make wishlists for things you want to purchase. Needless to say, I went back to purchase things several times. Laurie is very generous with her digital images. Not only are they of the highest quality, but instead of receiving only one image for your money, you always receive multiple main images, along with several sentiments. Also, the majority of her images come colored, as well as blacklined, for those who like to work with pre-colored images. 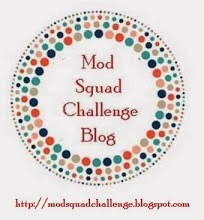 There is a monthly challenge at the Doodle Pantry blog and you receive a free stamp set just for entering the challenge. How awesome is that? I have created a card to share with all of you for my special announcement. For this card, I used the Old Ship set. The image was colored with Copic markers. The frames are made from chipboard and were purchased, not cut by me. I traced the back frame on designer paper and hand cut it to lay on top. I then used brown ink to distress it. The front part of the frame was painted with brown crackle paint, but it is very hard to see the crackle in this photo. I traced the ship image and hand cut that to be placed under the top portion of the frame. I used a white card base, with a brown striped designer paper and layered the framed focal image on top of that. I also used this multi-strand jute around the designer paper before taping it down. The sentiment is also from the Old Ship set. I just cut that out as a rectangle, distressed it with brown ink and placed a metal anchor on top. Thank you all so much for your support and encouragement. I hope you will join me at Doodle Pantry for all the fun and excitement to come. I love your card and I am looking forward to checking out Doodle Pantry!! This is stunning, Susan! Congratulations on your DT position - very awesome! I left a comment at CDC but I see your card here and was so excited to leave a message of welcome to Doodle Pantry DT and how I love your card. There is a monochromatic challenge going on ... Check nana Connie's blog. The coloring is wonderful . I bought some chipboard and have never used it...you have inspired me to pull it out. 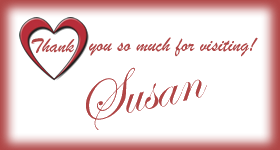 Congratulations Susan! It's great to be invited on a SuchSuteam :) Such a handsome masculine card. Love the chippy frames! Congratulations Susan, I can see why they wanted you there - your creations are beautiful. I love how you've used chipboard here and that ship - just WOW!! Hi Susan - I LOVE this card - the color hues are perfect and the jute was the perfect touch of texture - love having you on the team at Doodle Pantry. Absolutely gorgeous, Susan! What fabulous coloring and such a striking masculine creation!! This is beautiful, wonderful coloring. I love the papers you used. And welcome to the team. I love being a team member for Doodle Pantry. Big congratulations, Susan, your creations are super. Love this card and image, and your coloring terrific. I must confess, I hadn't seen this site, nor have I ever used digital images. but you open new windows. thanks for sharing your good news, and your beautiful creations. Welcome to the team Susan!! And what a stunning creation too. Your coloring is fabulous! Can't wait to see more! Susan, love your ship gorgeous colouring! Welcome to the team!! Beautiful!!! your coloring is just amazing... This card would be perfect for 2 upcoming men's birthdays I have!! This is just beautiful!!! I love how you framed the image!! Welcome to the DP team!! !